Whether you are traveling for a business meeting or family vacation, this Morrisville hotel has the quality and service you expect from a name you can trust. While staying near RDU International Airport, take advantage of the Park and Fly program and complimentary airport shuttle. 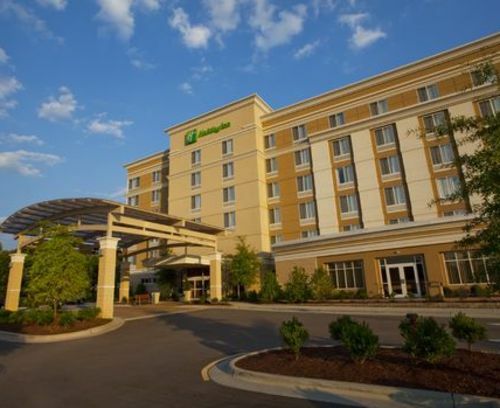 This Holiday Inn is near North Carolina State University and other local colleges and universities, as well as multiple hospitals. Local attractions include PNC Arena, N.C. Museum of Art and N.C. Museum of History, Raleigh Convention Center, Jordan Lake, Triangle Aquatic Center and the N.C. State Fairgrounds. 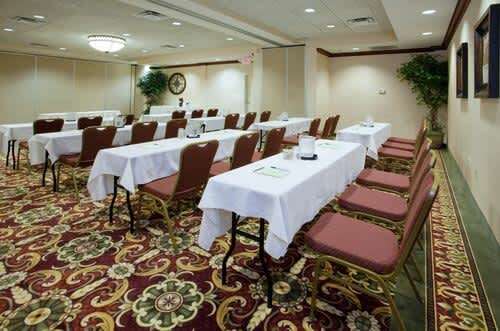 Let Holiday Inn host your next event, meeting or training session in 1,700 square feet of conference space. The 24-hour business center is the perfect place for productivity with a PC, fax and Internet access. Each room includes complimentary high-speed Internet, flat-screen TV, large desk with extensive work space, micro/fridge and complimentary weekday newspaper. 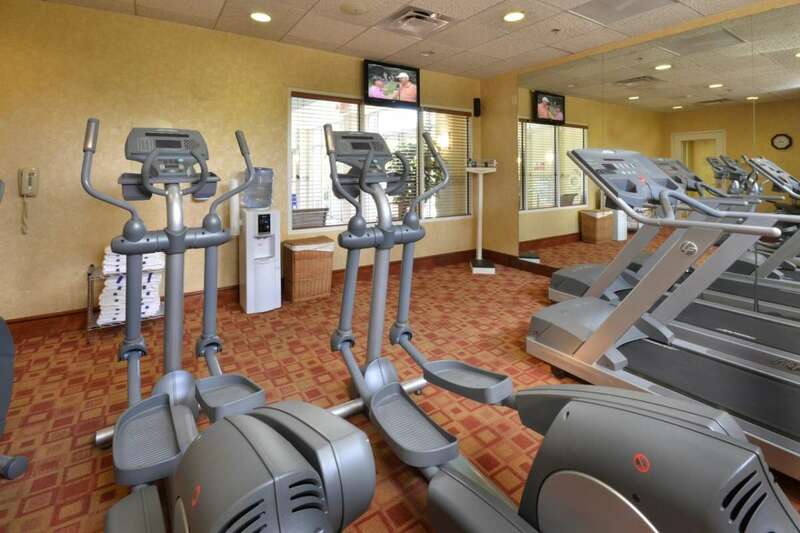 Spend your downtime lounging by the sparkling indoor pool or working out in the fitness room. Enjoy a nice dinner at a reasonable price at the Daly City Cafe. Relax and enjoy. 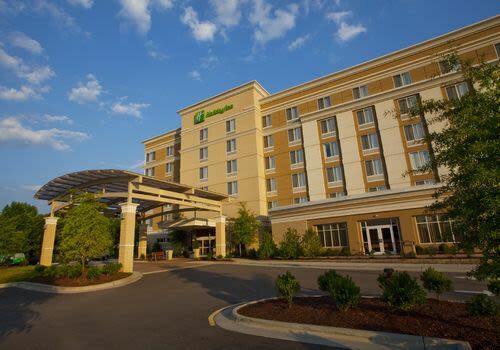 It's the Holiday Inn Raleigh-Durham Airport.